The second in the series of ‘Early Bird’ jazz tuition/public performance sessions drew a crowd approximately twice the size of the first back in May. The participants numbered one fewer – perhaps school holidays accounted for the absent one. 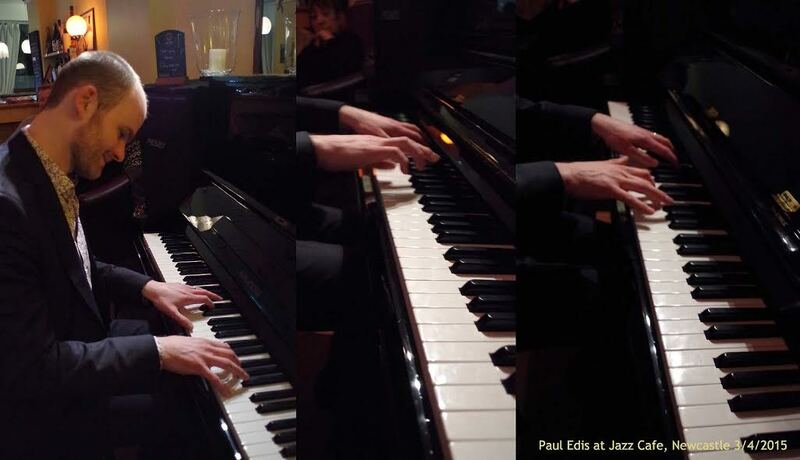 Six numbers in thirty minutes, all taking a solo, mentored by pianist and educator Paul Edis (pictured). Ladybird opened, solos from trumpet and guitar. Blue Bossa featured sitter-in drummer Matthew Mackellar (catch him at Dave Weisser’s session at the Chillingham or the Jazz Café’s jam sessions) and Francis Tulip (guitar). An alto/trumpet intro to Autumn Leaves stated the theme then more good guitar and trumpet from Ben Lawrence. More encouraging solos and a round of fours fleshed out All the Things You Are. Rollins’ Oleo followed the same format and was pretty damn good! Bassist Dan Lawrence soloed on Now’s the Time and that was it! A half hour performance; committed, enthusiastic and these guys are just about ready to take their set to the jazz public. Watch this space. The third Early Bird gathering at the Lit & Phil is scheduled for Saturday 5 September. It starts at 11:00am, £2.00. on the door. Arrive in good time to ensure you get a seat.